Let us invite you for fetal ultrasound and pelvic sonograms at “MWU DOBREUSG” founded by world-renown teachers of medical ultrasound in obstetrics and gynaecology. 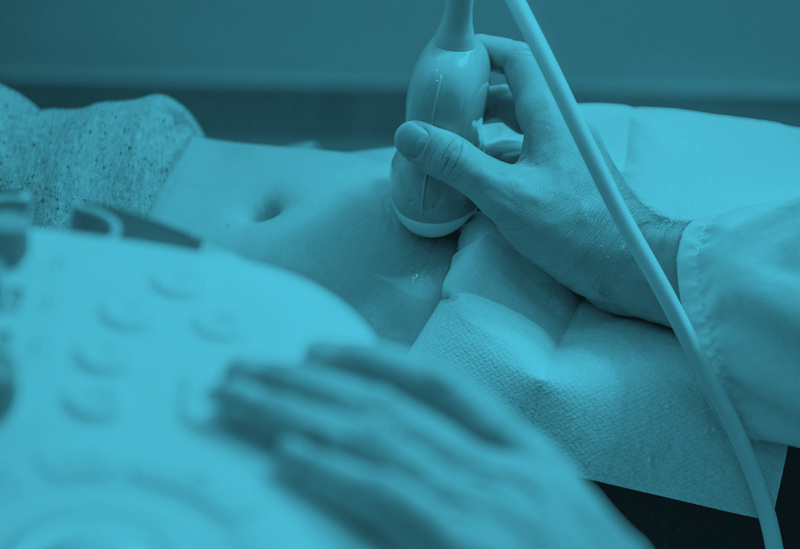 We represent a team of passionate sonologists and guarantee, that all performed sonograms at our centre fulfill highest international requirements of diagnostic precision. Assoc. Prof. Marcin Wiechec and Dr. Agnieszka Nocun with the team. We don’t perform just ultrasound scanning! We practice professional sonographic fetal and pelvic diagnostics. At our site you will find answers for difficult questions. Assoc.Prof. Marcin Wiecheć, Dr. Agnieszka Nocun and the Team. Medical sonograpghy remains one of the most difficult imaging methods in healthcare, especially in terms of the fetal evaluation. It is highly dependent on the operator skills and on the scanning conditions. We deal with this area due to our passion for taking on challenges. we are grateful for visiting our website concerning the MWU DOBREUSG Diagnostic Centre. We are specialists in gyneacology and obstetrics focused mainly on medical ultrasound. For a few years we have been offering our help in consulting patients to the best OB/GYN specialists and their patients in Krakow. We also run a wide range of courses and workshops. We educate physicians from Poland as well as other countries. In 2011 we set up the MWU – Ultrasound Courses, which at present enable us to pursue our educational goals. During our courses we offer free-of-charge scans to women from Krakow and its surroundings. Our articles are published in prestigious medical journals, and our accomplishments are presented at World ISUOG Congresses. MWU DOBREUSG is the only in Lesser Poland private wide-scope consulting and diagnostic centre of congenital defects as well as ultrasound diagnosis in gynecology and gynecologic oncology. Individual approach to each patient – at our centre you will be treated with understanding and approval in a friendly atmosphere created during the scan. Objectivity – we always have in mind our patients’ mental comfort. We do not frighten you without a reason! We do not frighten young women after 35 years of age! We explain all diagnosed anomalies in a comprehensible way, and together with the best OB/GYN physicians in Krakow, we provide further treatment. Professionalism – all our specialists are highly skilled, which is confirmed by adequate certificates. We work in a team and support one another in every situation. Full diagnostics – we offer not only ultrasound scans. We take blood samples for NIPT (Neobona/Harmony/NIFTY) – non-invasive screening tests of high sensitivity for most common genetic syndromes. Also, chorionic villus sampling, amniocentesis and fetal blood sampling are performed at our centre. We cooperate with well-known specialists in pediatric areas and genetics. Passion – we are passionate about what we do! We wish you a pleasant reading and invite you to visit us! 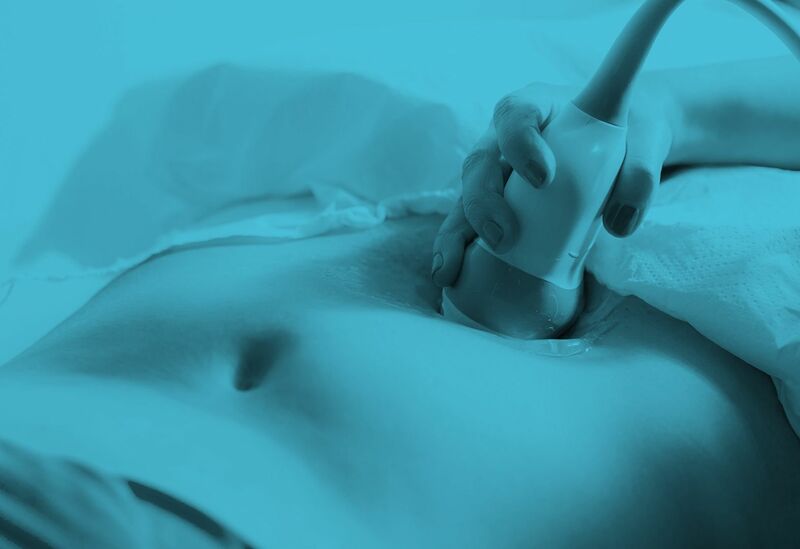 We deal with comprehensive ultrasound diagnostics in obstetrics and gynecology. We are the only private centre consulting congenital defects in a fetus in cooperation with specialists in the following fields of pediatrics: cardiac surgery of congenital heart defects, neurosurgery, pediatric neurology, pediatric urology, and clinical genetics, among others. Also, in cooperation with onco-gynecologists, we carry out ultrasound consultations of difficult cases, mainly suspected of cancer. We are ultrasound specialists of international renown in the field of obstetrics and gynecology. Dr. Marcin Wiecheć MD, PhD is the only in Poland International Faculty Member of the International Society of Ultrasound in Obstetrics and Gynecology (ISUOG). We cooperate with the Polish Ultrasound Society and we are examiners in this institution. We introduced 3D models of a normal fetal heart and a wide range of models presenting most common fetal heart defects into the education of specialists and students of medicine as well as into the consultations of our patients. Our models are employed not only in Poland during our ultrasound courses, but also in the United Kingdom, Germany, Romania, Bulgaria, South Africa, Azerbaijan and the Netherlands. The office is located near the traffic junction "Krowodrza Górka", which can be reached by the city lines from every part of Cracow. Do not hesitate to call us if you wait at the ramp in front of the practice. We will open it promptly. Due to the limitations of the parking next to our Centre you can also use Parking Space at the John Paul the Second Specialised Hospital. Marcin Wiechec Agnieszka Nocun Physicians Co.